Welcome Home to 150 Townes Road. Amazing High End Custom Built Home by Better Homes Development EHR Construction Company. 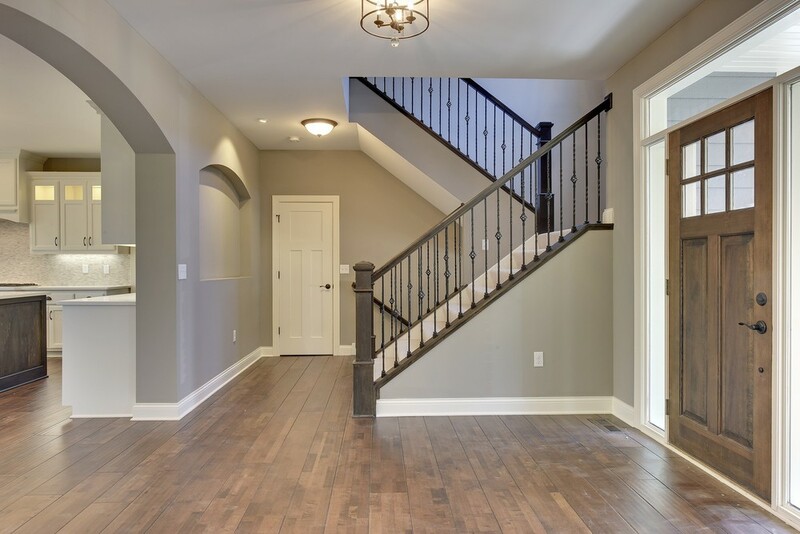 You will love the pristine attention to detail as you enter in the large open foyer. The open floor plan features custom hardwoods, formal dining room, large living room with gas fireplace and a gourmet chef's kitchen with center island. Upscale Fixtures, Stainless Steel Appliances and breakfast bar makes this perfect and comfortable for entertaining. Unwind to the luxurious master retreat where you will find double sinks, soaker tub, double shower and a custom walk in closet. The upstairs hosts 3 other bedrooms and a full bath along with a full laundry room which makes it convenient for everyone. Other features include a finished lower level walkout with wet bar, family room with gas fireplace, lower level bedroom with 3/4 bath and a mud room off the 3 car garage. Finishing touches were made with a warm color palette, new carpet and custom lighting that enhanced every room to give it that perfect "at home" feel. Minnesota Monthly recently released their Top Neighborhoods for 2015 and it is with no surprise that "Wayzata" was named as one of the best in the Twin Cities. Wayzata has flourished into a full fledged suburb. The East Lake Street area has everything its suburban residents could want within reach -- nature, food, shopping ... all with a charming small town feel. Truly a lovely community with lots of history and family businesses that help support this wonderful area. Located in School District #284 Wayzata Public Schools are among the nation's top achieving students on state and national achievements tests. Five of the district's seven elementary schools have been named a National Blue Ribbon School in the past 5 years. Find more information on the school district here.